Fashion school student Alyssa Pfaus relies on cabs and car services to safely get around New York City but after what she described as a terrifying Lyft ride, the 19-year-old is reconsidering her choice of transportation. 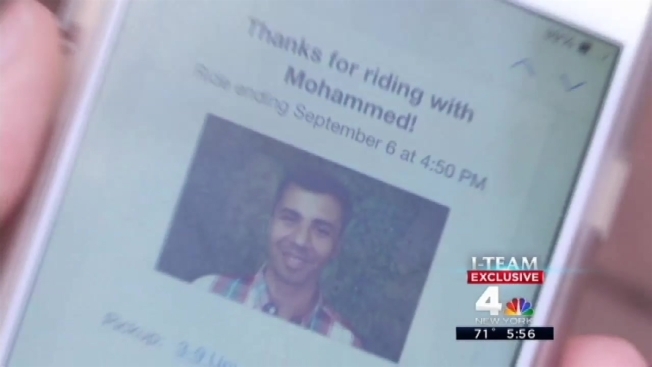 A recent Lyft ride from Union Square to the Upper East Side terrified the young student; she says the driver started getting personal, then took her on the wrong route when she didn't respond to him. At first she chose to ignore him, until he flew right past her exit on the FDR and started driving on the RFK bridge over into Queens. “I asked him where he was going, and he answered me by saying, ‘Don’t worry, I know exactly where I’m taking you,'” Pfaus said. Pfaus says she pleaded with the driver to turn around and became increasingly frightened as he began circling through a Queens neighborhood with which she was not familiar. "I felt absolute panic. The conversation turned into how I needed an arranged marriage and his family in Syria could arrange that," she said. Pfaus says they passed by a sign that said Manhattan and that’s when she urged him to take the bridge and drive her home. The driver finally complied. When Pfaus was dropped off, she ran to the 23rd precinct stationhouse to report the driver to police. She wasn't able to file a police report because she didn't know his last name, she said. Nothing came up in the police database based on the driver's first name. According to the receipt she received from Lyft, an app-based car service, Pfaus didn't have the driver's Taxi and Limousine Commission (TLC) or license plate number either. The TLC, which regulates all cab drivers in New York City says passengers should report questionable drivers directly to it. “We are the only people who can suspend or revoke a license,” Commissioner Meera Joshi said. " If an app kicks a driver off, that driver can easily join another platform so they will still interact with passengers." TLC rules were recently strengthened to prevent the type of experience Pfaus endured -- by requiring receipts to include the vehicle license number, the driver's for-hire license number and the 311 complaint number. “With that information we can very easily track down a trip and take action against a driver when necessary," Joshi said. Because of a grace period, not all companies are in compliance. A spokesman for Lyft said the company removed Pfaus' driver from its service and it is working to comply with new TLC requirements. The I-Team surveyed the biggest car service companies based on fleet size and found only six companies to be compliant with the new TLC rules.